If, as some sort of odd Olympic hermit, you’d been living under a rock since the Moscow Games and had only surfaced four years later for when Los Angeles played host (July 28-August 12), thus, didn’t know what the 1980s were all about, 16 days later you most certainly would have done, all right. With all its glitz, glamour, colour and commercialism, La-La Land’s take on the Olympics was unquestionably very ’80s and very American; it also produced many a memorable moment and some stupendous sporting achievements. Having bid for the right to host every summer Olympics for the last 40 years, America was determined to put on a show, a very American show, at Los Angeles ’84. Things kicked off, as usual, with the torch relay, which impressively travelled through 33 of the nation’s states and more impressively was carried by runners on the road the whole way (something that even recent Olympics can’t claim). These Games also boasted the introduction of John Williams’ spine-tingling Olympic Fanfare And Theme (as good as anything from his best film scores), which appeared on the album The Official Music of the XXIIIrd Olympiad—Los Angeles 1984, alongside contributions from Quincy Jones, Herbie Hancock, Philip Glass, Giorgio Moroder, Foreigner and Toto. As to the opening ceremony (during which US President and former Governor of California Ronald Reagan officially opened the Games), well, that provided one the most memorable moments of these Olympics – nay, from all 1980s Olympics – when Bill Suitor flew around the stadium dressed in the colours of the Stars and Stripes flag thanks to a Bell Aerosystems rocket (or jet) pack strapped to his back (see video clip below). After all these years, it’s still hard to work out exactly why this actually took place, aside from the reason it looked cool, flash and because it simply could. In short, it was completely and utterly American – the Olympics had definitely come to the 1980s United States. 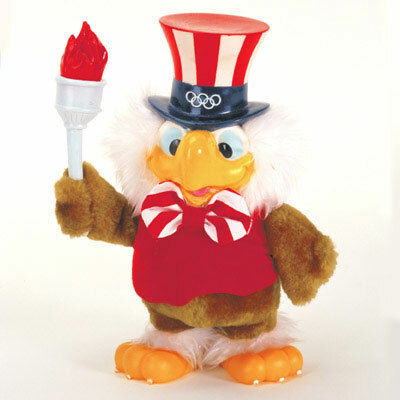 Summing up the unapologetic Americaness of these Games better than anything else, Sam The Olympic Eagle was a bald eagle (the US national animal) wearing, ‘Uncle Sam’-style, a Stars-and-Stripes top hat and bow-tie, and was happened to be designed by major Disney artist Bob Moore. To this day, he remains one of the most well recalled of Olympic mascots. Quel surprise. This being an Olympics full of colour, noise and spectacle, it boasted many moments lasting long in the memory, but there probably was one moment that tops them all, or to be specific four moments that tops all the others: the moments when US sprinter and long jumper extraordinaire Carl Lewis won his four gold medals. Lewis, surely the world’s greatest athlete (or was he? see The Main Man below), was all set to have a good Games, a very good Games, even if much of America didn’t know it. Although already rightly regarded a great sportsman, being a track and field athlete Lewis was an amateur sportsman and thus was yet in his career to achieve the sort of lucrative commercial endorsements that fellow great – but professional – US sportsmen could boast. At Los Angeles ’84 then, he had two aims – to match Jesse Owens’ outstanding haul of four gold medals in the 100m, 200m and 4x100m sprints and the long jump, plus secure those endorsements with the glory those victories would bring. Highly impressively, he achieved his first aim with what appeared to be relative ease: he breezed to victory in the sprints and won the long jump so convincingly he only had to leap twice in the event (his brilliant first at 8.54 m was good enough to win it, he knew, so he ensured his final round jump was a foul). However, in only jumping twice and not pushing to break the world record, as the patriotic home crowd hoped, nay expected him to (by competing as little as possible in the event his plan was to save himself for the sprint finals to come; a plan that worked, of course), they booed him come the long jump’s end. And following the Games, this along with his general demeanour helped to create the impression across America that Lewis was, well, arrogant. A guy who may have possessed God-given talent, but not much humility; he was incredible, sure, but not that likeable an individual. And the result? 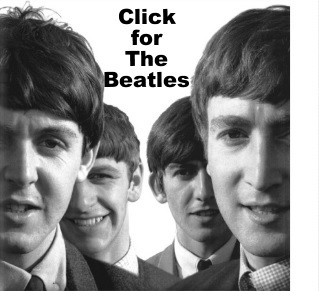 Those lucrative endorsements didn’t come his way. 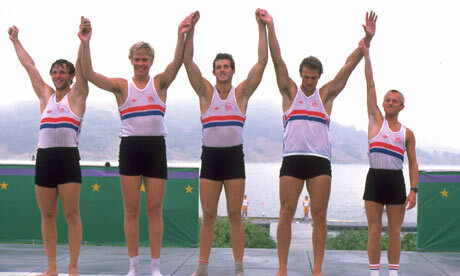 Yet, more success at more Olympics did – he ended up winning a total nine golds at the ’84, ’88, ’92 and ’96 Games. 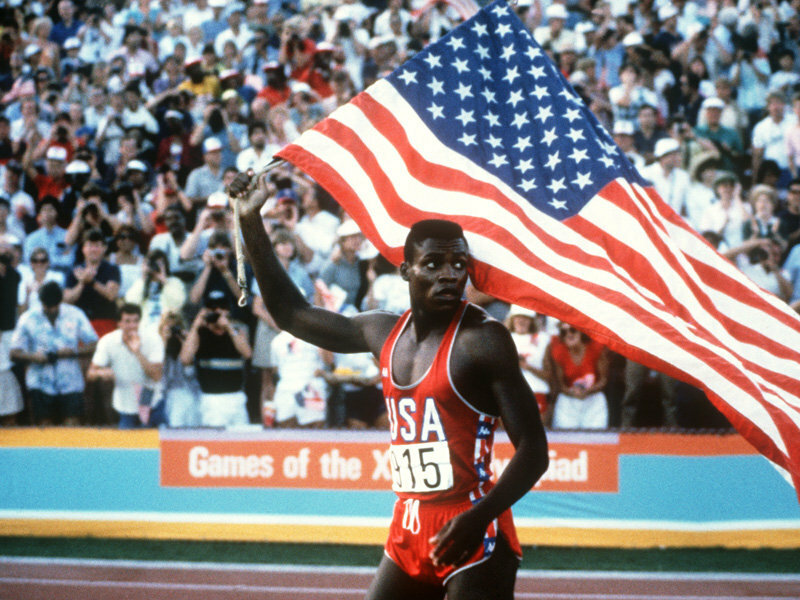 Likeable or not, Carl Lewis was an amazing athlete. 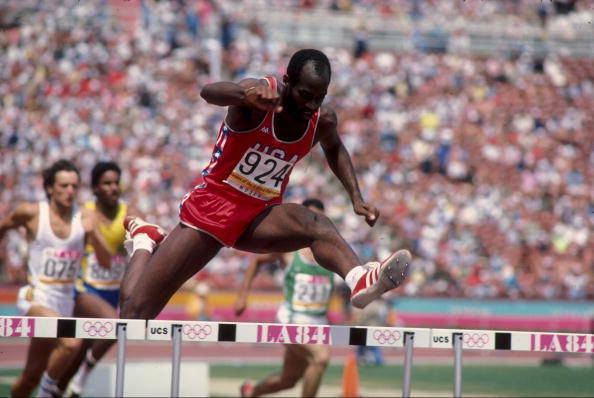 Daley Thompson ~ many would say Carl Lewis was surely the man of these Games (and he probably really was), but I’m going to be all parochial and pick a Brit for that honour – so shoot me. Having already won the decathlon by a figurative (and, in at least one track event, seemingly literal) country mile at Moscow ’80, the pressure was on Thompson to do the truly impressive and utterly unforgettable – retain his title four years later. Not that you’d know it to look at and hear him, though. For Daley had a rather, well, unusual personality. His mixture of supreme confidence, brash sense of humour and incredible dedication to training was unique, but combined with his brilliant talent made him a devastating all-round athlete. In competition, he was simply a beast. Come the ’84 Games, he was surprisingly trailing after the first day of the two-day-long decathlon to his arch rival Jürgen Hingsen of West Germany, but this was just the spur he needed – in the next event, the discus (his weakest), out of nowhere he produced a giant throw that was six metres better than any he’d ever previously produced, a feat that seemed to knock the sails out of Hingsen’s challenge and propel Daley to victory again (another memorable moment of which was the back-flip he delightedly delivered following a top effort in the high jump – see video clip below). So much for the competing, but as said, that was never all you got with Thompson. For some Brits, his behaviour immediately afterwards was just not on (whistling instead of singing the national anthem on the podium; weirdly suggesting he might copulate with Princess Anne and wearing at a press conference a t-shirt asking ‘Is the world’s second greatest athlete gay?’ – a jokey, but sharp reference to Carl Lewis’s lack of confirming or denying the speculation he may be homosexual, while also implying, of course, that Thompson himself was the world’s greatest athlete). 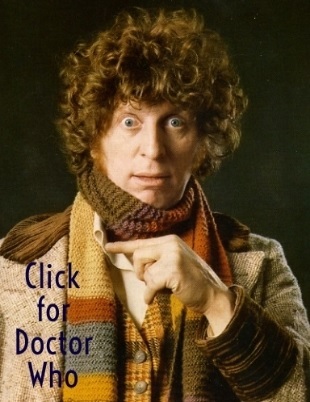 For other Brits, however, his irreverent humour and naughty schoolboy-esque persona was a delight. 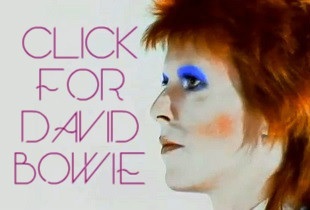 Indeed, his Los Angeles ’84 performance was recently voted the Britain’s finest in a UK Athletics poll. 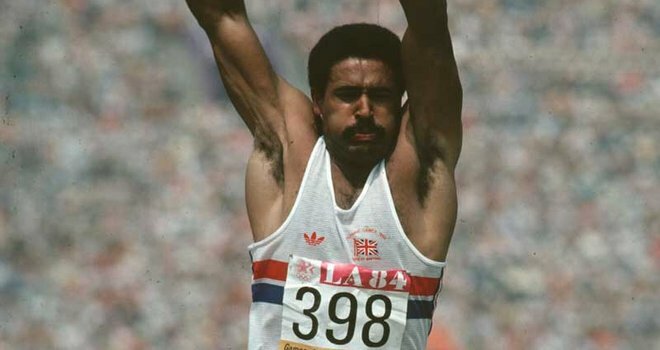 There was – and will only ever be – one Daley Thompson. 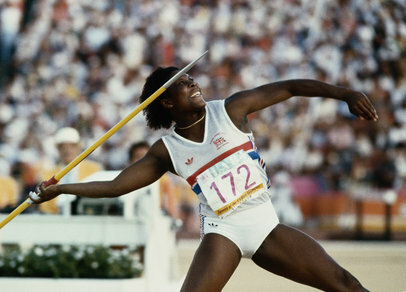 Mary Lou Retton ~ after Daley Thompson and Carl Lewis, here’s a real US heroine of Los Angeles ’84. At 16 years old (although she perhaps looked younger owing to her diminutive 4ft 9in height), this highly talented gymnast became an undeniable American sweetheart when, with no Soviets competing, she engaged in an electric clash with Romanian Ecaterina Szabó in the prestigious Individual All-Round event. Trailing her rival with just two disciplines to go, Retton secured a pair of ‘perfect tens’ in both the Floor Exercise and Vault to claim gold by just 0.05 points – becoming the first non-Soviet and non-Eastern European to win the event. She also won silver in the Team competition and the Vault, as well as bronze in the Uneven Bars and the Floor events. 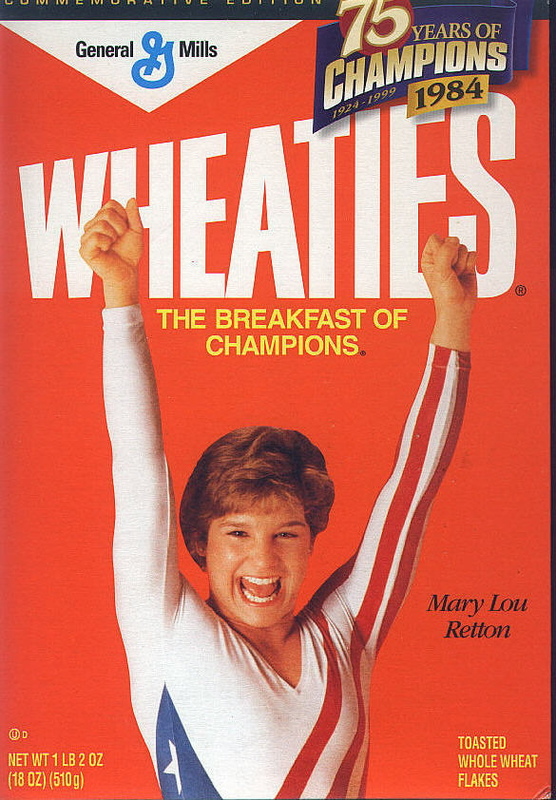 Following the Games, Retton made maximum use of her celebrated public profile (in, yes, contrast to Carl Lewis) by appearing on Wheaties cereal boxes as the food’s official spokeswoman (see above image) and became an outspoken supporter of Ronald Reagan’s 1980s Presidency and, later, the Republican Party in general. As Americans like to say, go figure. Arguably the UK’s greatest Olympic – and all-round sporting – moment of 1984, though, came at the Sarajevo Winter Olympics held five months earlier, when the favourites for the Ice Dancing event Jayne Torvill and Christopher Dean held their nerve to deliver a flawless and artistically brilliant performance to Maurice Ravel’s instantly recognisable Boléro (see bottom video clip). Their effort earned a perfect nine maximum 6.0 points for artistic impression and a further three 6.0s and six 5.9s for technical impression – a feat that’s never been matched. Not only did they win the BBC Sports Personality of the Year award for 1984, but went professional following these Games, achieving great success and fame throughout the world with their innovative shows. Owing to their sheer Americaness, the 1984 Los Angeles Olympics will always be well – and, no doubt by many, fondly – recalled. 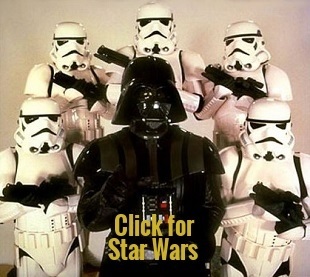 And, in the end, why not? 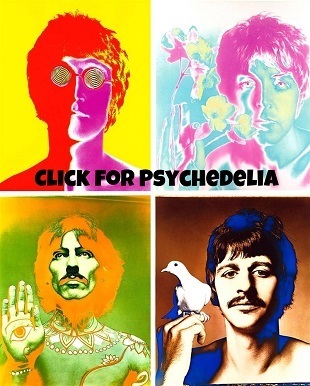 Aside from the Soviet boycott (which back then and today feels very petty), these were a positive, exciting, surprising, vibrant, vivid and very enjoyable Games – especially if you were American or British. Maybe just as important, in the wake of the debt-hampered efforts that were Montreal ’76 and Moscow ’80, LA’s shindig turned a profit. Cannily, aside from a new swimming stadium and cycling velodrome, all venues pre-existed (the opening and closing ceremonies and the athletics took place at the Los Angeles Memorial Coliseum, just as they had at the 1924 Games) and the organisers smartly made maximum use of corporate sponsorship and lucrative TV deals, which together ensured there were no heavy construction costs and a lot of welcome moolah generated – $200 million of it, in fact; ensuring these remain the most financially successful Olympics. Admirably too, the profits were ploughed into a Southern California-focused initiative named the Amateur Athletic Foundation (now the LA84 Foundation) that tasked itself with promoting youth sports, creating coaches and setting up a sports library. The template for ‘Olympic legacy’ – now, rightly, such a big concern for modern Games organisers – had verily begun.